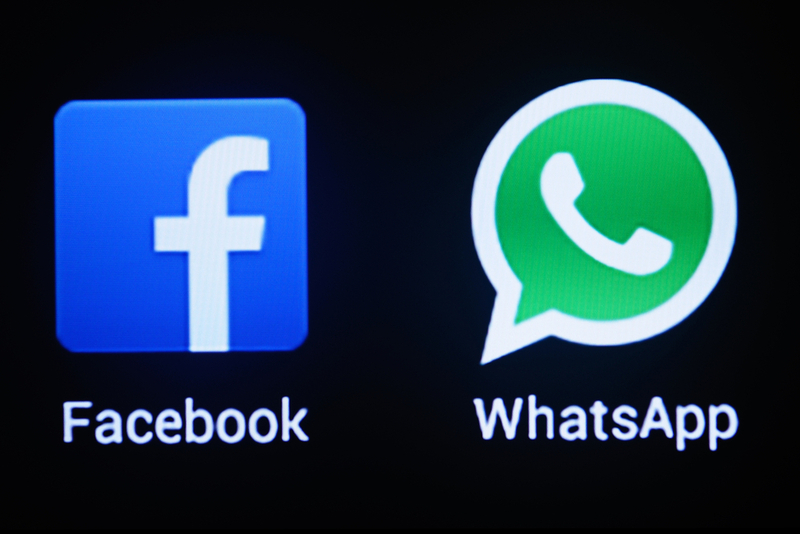 Facebook + WhatsApp = The Ultimate Spying Machine? Posted on February 27, 2014	by chainsoff. 2 billion users world wide, just got a lot bigger by buying WhatsApp, the text messaging app with almost half a billion users across the globe. According to Mark Zuckerberg, Chairman & CEO of Facebook, the reason why Facebook paid $19 billion for WhatsApp is that there are not many other companies that can create a network of 1 billion users – and he believes WhatsApp will achieve that soon. WhatsApp doesn’t really fit into the Facebook business model because it has alwayspromised its users that it won’t sell ads. So how will Facebook get a return on their $19 billion? I believe that the answer is: by mining the data within WhatsApp. Facebook is already a gigantic data mining paradise with unbelievable amounts of data at their disposal, all happily provided by us, the users of Facebook. We send 10 billion Facebook messages per day, click the ‘like’ button 4.5 billion times and upload 350 million new pictures each and every day. Overall, there are 17 billion location-tagged posts and a staggering 250 billion photos on Facebook. All this information means that Facebook knows what we look like, who our friends are, what our views are on most things, when our birthday is, whether we are in a relationship or not, the location we are at, what we like and dislike, and much more. This is an awful lot of information (and power) in the hands of one commercial company. Facebook is only beginning to leverage all their data and I believe that even if we all stopped using Facebook today (which is very unlikely), the company would still have more information about people than any other private company on the planet (maybe Google is a close, but they haven’t got all the detailed personal data). Recent attempts by Facebook’s data science team shows the incredible power of analyzing the data. For example, Facebook revealed that it can now safely predict when a user is about to change their relationship status from ‘single’ to ‘in relationship’. The insights come from analyzing the way we exchange messages and post on our timeline just before we ‘commit’. Read the details here. The question is, what else will Facebook be able to predict? There is more: a recent study shows that it is possible to accurately predict a range of highly sensitive personal attributes simply by analyzing the ‘Likes’ we have clicked on Facebook. The work conducted by researchers at Cambridge University and Microsoft Research shows how the patterns of Facebook ‘Likes’ can very accurately predict your sexual orientation, satisfaction with life, intelligence, emotional stability, religion, alcohol use and drug use, relationship status, age, gender, race and political views among many others. Their relatively new Graph Search function gives us another idea about the level of insights Facebook has and their ability to use it intelligently. The natural language search function allows you to search for e.g. ‘Friends that have visited (and recommended / liked) restaurants in London’ or ‘fiends of friends who also like cooking’. The results are amazingly accurate. So, wouldn’t it be tempting to use all this technology to mine the vast amounts of messages sent daily by the 465+ million users of WhatsApp? I would say yes. Why else would Facebook have spent $19 billion? Just imagine the power this adds to Facebook’s big data analytics capabilties. WhatsApp’s data would reveal who we are sending messages to, how often we do that, what pictures we share and most importantly what we are talking about. Even though Facebook states that the two companies will run independently of each other, I think it is naïve to believe that this will continue for long. For a start, it would make sense to integrate the WhatsApp messaging functionality with Facebook’s own messenger app. Otherwise they would run two competing products. Talking about the private messaging function of Facebook reminds me that Facebook is has just been hit with a class-action lawsuit. The accusation is that Facebook is violating the Electronic Communications Privacy Act by scanning and exploiting the content of private messages sent via the Facebook platform without prior consent by users. Is this maybe a little taste of what’s to come when they start doing the same with their WhatsApp data?